Ivy Global offers the most comprehensive, up-to-date, and effective preparation on the market for the Lower, Middle and Upper Level Independent School Entrance Examination (ISEE). For students applying to many top private and independent schools in North America, the ISEE is a crucial and sometimes daunting step in the admissions process. 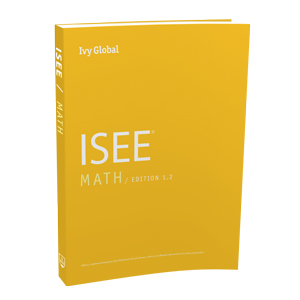 By leading you step-by-step through the fundamental content and most effective strategies for the ISEE, Ivy Global will help you build your confidence and maximize your score on this important exam.